Paul Chan received his undergraduate degree in Administration of Justice from the California State University, San Jose. Thereafter, Mr. Chan graduated from the University of the Pacific, McGeorge School of Law where his academic awards include being in the Dean's List. Mr. Chan began practicing law in Sacramento County in 1997 with the law firm of Biegler Ortiz and Chan. He has since achieved favorable outcomes for his clients in trials, arbitrations, settlement conferences and mediations in criminal cases, civil cases, and administrative disciplinary actions. Using his extensive litigation background, Mr. Chan later began representing health care providers and other professional license holders in matters with the California Administrative law system. His licensing practice is state wide. He has extensive experience in hearings before the California Office of Administrative Hearings (OAH) as well as experience filing Appeals/Writs of Administrative Mandamus (Mandate) to the Superior Court of California and to the Court of Appeal. Mr. Chan will work with his clients to develop a plan to achieve the best outcome given the facts and the circumstances. Mr. Chan works to resolve the matters at the investigative stage in many cases. If an accusation is filed, he will work to achieve a favorable settlement and, or, dismissal. If a matter cannot be resolved by settlement, Mr. Chan will aggressively defend his clients at formal hearings conducted before Administrative Law Judges. 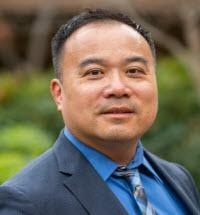 Mr. Chan has been an invited guest speaker at Nurse Support Groups and Continuing Education Seminars and is considered by many Nurses and licensed professionals to be "the attorney" to consult with if facing a disciplinary matter before the Board of Registered Nursing and other State Licensing Authorities.